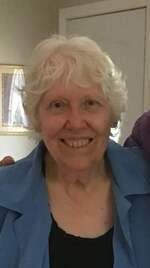 Windham – Kathleen J. Gallant, 77, a resident of Canton, passed away Saturday, August 4th in Windham while visiting with her family. She was born June 11, 1941 in Rumford, the daughter of Fidele J. Gallant and Theodora “Theo” (Therrien) Gallant. Kathy was a 1959 graduate of Mexico High School and later received her bachelor’s degree at the University of Southern Maine, formerly Gorham State Teachers College. She worked as Social Worker for Androscoggin County Home Health. She enjoyed playing the piano, gardening, reading and watching movies. She is survived by her children; Laurel Dyer and her husband Christopher of Scarborough, Heidi Jellerson of Windham, Donald Jellerson of Jefferson, Wisconsin, Marcus Jellerson and his wife Patricia of Oklahoma City, Oklahoma, Keith Jellerson and his wife Heather of Seattle, Washington, her grandchildren; Jason, Daniel, Jessica and Sage and her sister Laurene Juhola and her husband Roger of Carver, Massachusetts. She was predeceased by her daughter Karen Daise. Messages of condolence may be sent to the family at: www.finleyfuneralhome.com. Gallant – Kathleen J., 77, of Canton, Maine passed away Saturday, August 4, 2018 in Windham, Maine. Funeral services will be held 11AM, Friday, August 10, 2018 at FINLEY FUNERAL HOME, 15 Church Street, Livermore Falls, Maine. Visitation will be held Thursday 4-7PM. Interment Holy Cross Cemetery, 445 Park Street, Livermore Falls, Maine. If desired contributions may be made in Kathleen’s memory to Tri Town Ministerial Association Food Bank, PO Box 314, Livermore Falls, Maine, 04254. To send flowers to the family of Kathleen J. Gallant, please visit our Heartfelt Sympathies Store.